Finances are the most important part of international relocation plans, and money woes can be devastating for people as they settle into new countries. Without proper fiscal planning, expatriates are left without any means to resolve their issues. Your finances should be your primary concern before your international moving company arrives to ship all of your belongings. Read the following tips to help you get your money in order so you do not have any problems when you move abroad. Expat Women writes that you should have two bank accounts – one in your old country and one in your new home. The news source points out that some financial issues can take months or years to resolve, so you should have an account for the correct currency. If you plan on returning to your nation of origin, the secondary account is a necessity so that you can cover expenses like taxes and loan payments. Additionally, a new account should be opened in your home country. Expat Women recommends having enough savings to live off of for three to six months. A substantial safety net is very important when moving abroad. If you do not have a job or a work visa, it could be months before you find steady employment. Find a bank with reliable currency conversion services to avoid any potential headaches. Tax laws are difficult to understand without the proper training. Many people are not aware of how their incomes are affected by government regulations, and expats suffer from even greater confusion. Every country has different tax rates, and the policies are not always clear. Hire a financial advisor who can explain the different taxes of your new home country. An accountant or a consultant can clarify any confusing points so you know how much you owe in taxes. Additionally, you should not try to handle your taxes on your own – use professional services when tax season arrives. Of course, you will need a credit card in your new country, but you need to decide if you will keep an active account in your native land. Expat Women recommends keeping one in case you decide to return home. However, you are at risk of identity theft and other fraudulent activities if you do no actively watch the account. Weigh the options and decide if you truly need a credit card for a country you might not return to. Moving out of state is a breeze compared to moving abroad. International relocations require people to file mountains of paperwork with foreign and domestic governments before they can start finalizing their plans. Expatriates must go to great lengths to ensure that they are allowed to move. Consider the following moving and packing tips when you’re planning an international relocation. Failure to take these steps may prevent you from leaving your country for a new one. Traveler’s insurance is a necessity when going on a trip, but it is doubly important when moving to a foreign land. According to Lifehacker, many governments will not allow expats to stay if they do not have coverage. The news source writes that traveler’s insurance is required to obtain a visa in most countries. In most cases, foreign relocation boards will only approve your residency for the length of your insurance policy. For instance, if you only have a year of coverage, you can only live abroad for that same time period. Research various policies and determine how long you will need coverage. You can always cancel your insurance if you need to move home. Lifehacker also points out that countries have different healthcare systems and that traveler’s insurance does not cover emergencies. Expatriates are surprised when they cannot receive the same treatments that they do at home. Additionally, the bills will be much steeper due to the lack of insurance. Visit your primary physician months before you move. Undergo a complete exam to ensure that there are no major health problems that could hinder your international relocation plans. Schedule your appointment months before yourhousehold moving company is slated to arrive. This lead time ensures that you have time to address any medical concerns before you leave. When you move out of state, you have to change your address with the post office and update your driver’s license. The Matador Network notes that international relocations feature similar tasks, but you have to be careful not to forget any of your responsibilities. Research citizenship and temporary residency requirements before filling out any paperwork. The news source recommends retaining these documents in case you need to extend your stay. Be aware of financial requirements. Some countries like New Zealand require expatriates to earn a minimum income to gain citizenship. Ensure that your finances are in order so you can move to the country of your choice. The coolest contemporary house to hit the market! For those looking to make a statement this house has an amazing street presence, so much so that people are always stopped in their tracks when driving through the Mesa. Crisp contemporary box is cantilevered over the driveway with exposed steel beams creating one of the most dramatic entrances in Palm Springs. Inside a downtown industrial contemporary vibe with large walls of glass and open living spaces create one of the finest places to entertain. Modern kitchen with bar counter opens to living space with sliding glass doors to the perfect southern facing pool and spa. 3 bedrooms and 3.5 baths provide ample room for guests and the master suite is truly fit for a king. A private and exclusive offering in one of Palm Springs finest neighborhoods. Do you recognize these Stevens women? During most corporate relocations, employees have to live in temporary housing after moving out of state. Companies hirestate to state movers to help their workers relocate according to the corporate schedule, so many permanent residences are not available on the arrival date. Displaced staff members have many options when it comes to finding temporary housing. Additionally, employees should be prepared for slight lifestyle changes while they wait for their future homes. The following tips can help you live comfortably in a temporary residence. According to Moving.com, there are three options for displaced employees – hotels, extended-stay hotels and rental properties. The first choice is the most common because workers can easily find rooms at a chain for a reasonable rate. Additionally, many workers don’t have to wait longer than a few days for their houses, and standard hotels provide the best accommodations. Extended-stay hotels combine the conveniences of inns and permanent housing. The news source writes that this lodging option allows renters to stay in a comfortable environment that resembles a regular house without paying for utilities. Workers can stay as long as they want. Meanwhile, rental properties like apartments require leases and displaced workers have to pay for basic services. Moving.com leaves out a possible alternative to those three choices – staying with loved ones. If you have friends or family members in a new area, ask them if you can stay for a few days before your permanent residence becomes available. Regardless of which housing option you choose, you won’t be staying there for long. In most cases, there is a brief overlap between homeowners leaving and you moving in, so the wait will likely only last a few days. You do not need all of your belongings during this period. 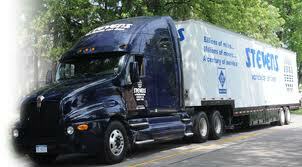 Leave most of your possessions with your household moving company. Most services offer short- and long-term storage so you do not have to worry about your personal items while living in temporary housing. Only pack the essentials when you’re staying in a rental property. At most, you should have two bags full of clothes and other necessities like phone charges. Sort through all of your belongings and decide what is most important. Pick the items that you use every day and keep them with you at all times. The rest of your belongings can be given to corporate relocation companies for storage. 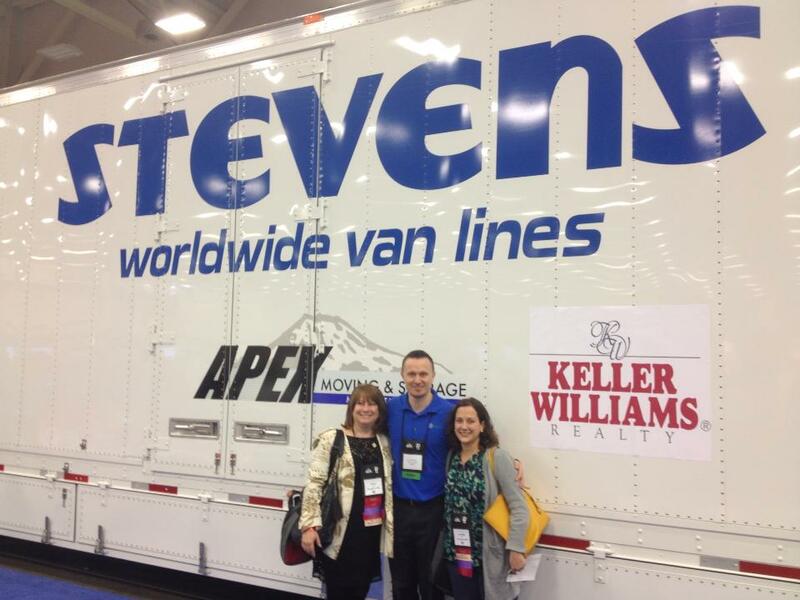 Stevens Van Lines is proudly exhibiting at Keller Williams largest national meeting. The Keller Williams/ Stevens partnership is picking up momentum everyday in several states across the country. WAY TO GO JOHN! !